China has given assurances on currency convertibility and easier access to its financial markets, while also warning the US not to carry through on threats to erect trade barriers. The messages were delivered by People’s Bank of China Deputy Governor Yi Gang and Chinese ambassador to the US Cui Tiankai at a conference in New York. They show a China eager to steer a steady course with the US after the summit between presidents Donald Trump and Xi Jinping in Florida this month. Yi told a conference at Bloomberg’s New York headquarters that China would prioritise ­improving the convertibility of the yuan after it succeeded in cutting capital outflows and reducing overleveraging in its domestic corporate sector. “We have to work on removing existing barriers to the internationalisation of the renminbi so that we can make it a freely usable currency,” Yi said, adding that ­exchange rate reform would be “market-driven” and based on the needs of Chinese companies and households. 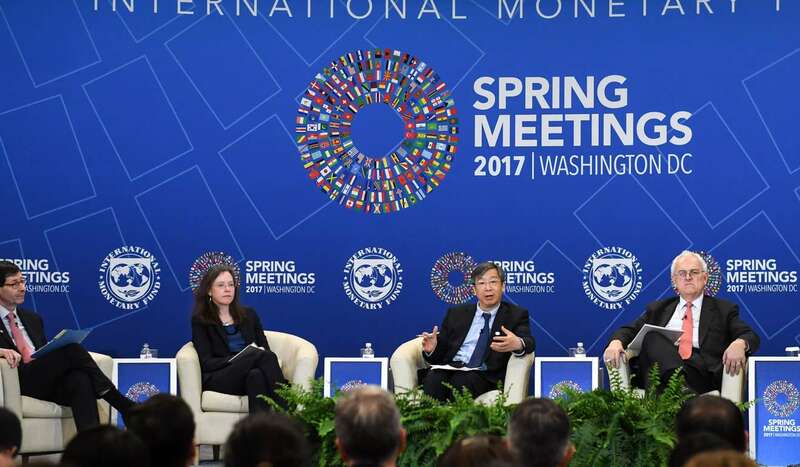 Responding to feedback from foreign financial institutions, the PBOC intended to allow “better service for offshore renminbi transactions” including easier payment infrastructure and ­issuance of more licenses for ­foreign institutions to underwrite and settle yuan-denominated bonds, Yi said. China will also cut red tape and provide more regulatory and tax treatment transparency for ­foreigners wanting to participate in domestic fixed-income and equity markets. Assurances about future ­reforms didn’t come without a catch. Ambassador Cui, who spoke at the same conference, warned against the imposition of trade barriers, particularly as Beijing and Washington recently committed to 100 days of talks aimed at finding a way to balance trade flows. The US trade deficit for 2016 with China was US$347 billion, according to US data. Last week, Trump announced measures to better enforce “Buy America” legislation, by reducing waivers and closing loopholes that contractors use to source foreign products for US government projects. US Commerce Secretary ­Wilbur Ross cited Chinese steel imports specifically as potentially undercutting the ability of ­domestic producers to meet ­increasing demand from US military equipment manufacturers. “There’s much talk about trade imbalances and calls for fair trade. Trade’s benefit for both countries is a matter of fact; fairness is sometimes a matter of ­perception,” Cui said. Trump’s ‘America first’ and Xi Jinping’s ‘China first’: how different are they? “Whether this balance will be achieved by increasing trade flows or by raising trade barriers is a matter of choice,” Cui said, adding that the US could help resolve the imbalance by dropping ­restrictions on exports of some energy and high-tech products to China. As is the case with currency convertibility and foreign participation in onshore financial ­markets, China’s appeal to the US government for easier access to high-tech goods has been a ­running theme for decades. Not all observers expect much in the way of currency reform or capital market access from China.